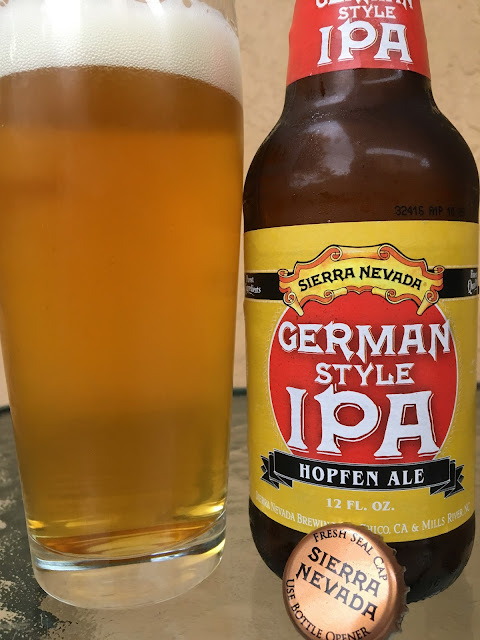 Sierra Nevada brewed a German Style IPA Hopfen Ale for their new 4-Way IPA mixed pack. Sounds pretty awesome right? 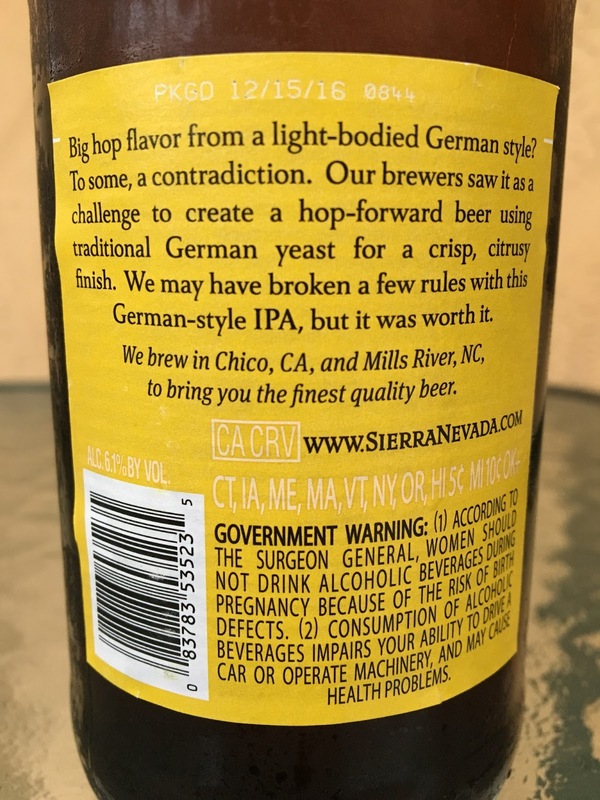 The story on the label finishes with, "We may have broken a few rules with this German-style IPA, but it was worth it." PKGD 12/15/16. 6.1% alcohol. Grainy aroma that is also very fruity, hoppy and floral. Nice flavors to start, crackers and toast and honey, a little sweet. Fruity apples come next before a contrasting hoppy bitterness balances things out. Floral, a bit grassy, perfect. Wife loved it! Very good beer.